Abstract: Collodion baby (CB) is normally diagnosed at the time of birth and refers to a newborn infant that is delivered with a lambskin-like membrane encompassing the total body surface. 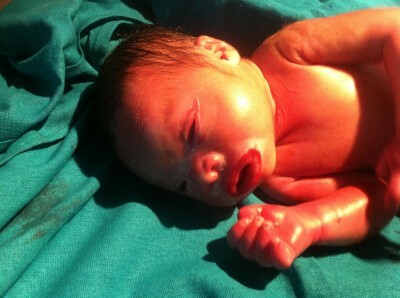 CB is not a specific disease entity, but is a common phenotype in conditions like harlequin ichthyosis, lamellar ichthyosis, nonbullous congenital ichthyosiform erythroderma, and trichothiodystrophy. We report a CB that was brought to our department and later diagnosed to have TGM1 gene c.984+1G>A mutation. However, it could not be ascertained whether the infant had lamellar ichthyosis or congenital ichthyosiform erythroderma (both having the same mutation). The infant was lost to follow-up.